Belfast, 16 January, 2017 – CEM Systems announced today its selection as the access control solution provider for the City of Glasgow College by FES Ltd, Stirling, UK. CEM Systems’ AC2000 access control solution and CEM Systems’ range of intelligent readers was chosen to be an integral part of the security system to restrict access to offices, circulation areas, classrooms and student accommodation. 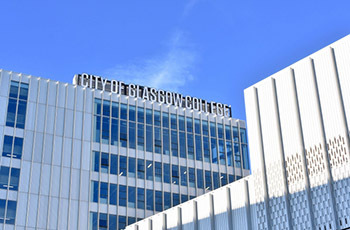 City of Glasgow College is one of Scotland’s largest Colleges, the result of the merger of three colleges in the city. Home to 32,500 students and 1,200 staff, the College is a busy environment and required a flexible security solution that can be extended and upgraded to meet the College’s growing requirements. CEM Systems’ AC2000 is a powerful access control solution that comes with a comprehensive range of software applications that enhance site operations. The City of Glasgow College will utilise both AC2000 VIPPS (Visual Imaging & Pass Production System), which allows users to design professional, quality ID passes which can include text, logos, graphics, photos, barcodes and signatures, and AC2000 AED (Alarm Event Display). AC2000 AED provides a dynamic and real-time graphical view of all alarms and events that occur on the AC2000 system. The College has also implemented AC2000 Smartcard Utility application which is a convenient and flexible approach to smartcard key management by allowing users to take full ownership of their smartcard personalisation process. Additionally, if encryption keys become compromised, updates can be implemented with minimal impact to security and daily operations using the AC2000 SmartCard Utility. Securing over 1,000 doors throughout the College’s campus’ will be SALTO Sallis wireless locks and CEM Systems’ sPass reader, a low cost, contactless smart card reader with powerful security and encryption features. The sPass reader utilizes AES 128-bit encryption and highly secure DESFire EV1 card technology. When used with the CEM Systems’ eDCM 350, an IP two door controller, the sPass is a highly secure and cost effective solution that helps combat the threat of card cloning. CEM Systems from Tyco Security Products is now part of Johnson Controls, a global diversified technology and multi industrial leader serving a wide range of customers in more than 150 countries. CEM Systems provides highly advanced security management solutions which include integrated access control, ID badging, alarm monitoring, people counting systems and the industry’s most advanced and flexible range of card readers. From a small facility to a large multi-site facility the sophisticated AC2000 access control system and advanced CEM Systems products provide a solution to meet even the most complex needs. Each system can be customized to specifically fit the needs of each individual customer, ensuring a powerful, highly tailored level of protection that simply cannot be matched in the industry. For more information on CEM Systems access control technologies, visit www.cemsys.com. Having led the Scottish market for over 50 years and now employing over 2000 staff across 9 offices throughout the UK, FES offers a complete ‘cradle to grave’ service. With a turnover exceeding £200m, FES offers a complete construction service through a comprehensive range of building, prefabrication, fit-out, communications, fire and Security and facilities management services including, renewable technologies, and energy management.